The premier trade association in the metals business. Play Video Group Created with Sketch. More than 100 years strong, MSCI is the broadest-based, not-for-profit association serving the industrial metals industry. The Metals Service Center Institute (MSCI) provides vision and voice to the metals industry, along with the tools and perspective necessary for a more successful business. We offer our service centers, producing mills and affiliate members an impressive array of high level programs and services. Our goal is to meet your needs for knowledge and thought leadership, provide data and education for operational efficiency, promote industry advocacy, and create a marketplace for efficient transactions, debate, discussion and learning. The Metals Service Center Institute (MSCI) is a trade association that supports and represents the broadest representation of the metals value chain, including metals producers, distributors, and processors and, to a lesser extent, the interests of metals users. 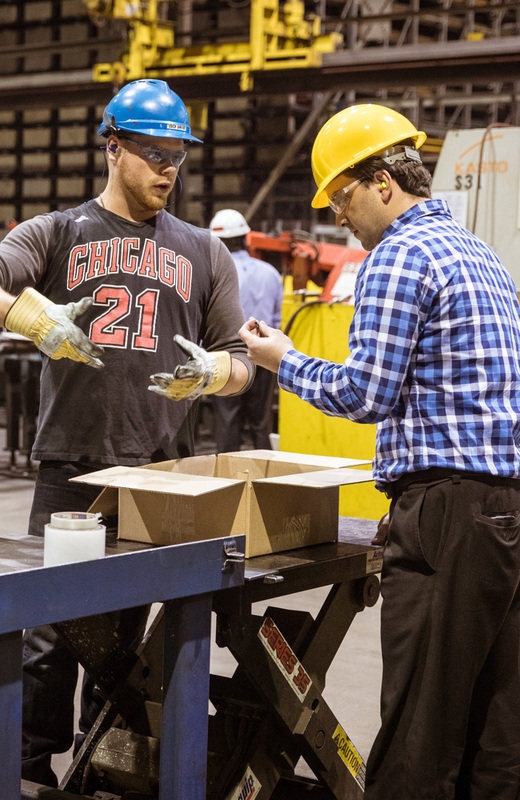 Because its primary membership consists of metals service centers—businesses that inventory and distribute metals for industrial customers and perform first stage processing—MSCI is ideally situated to identify and respond to the networking, educational, public policy, and research needs of the entire metals community, and not just a narrow portion of it. MSCI’s mission is to promote the health of the metals industry and its role in the North American value chain, providing member companies with a broad range of strategic and tactical information they cannot get anywhere else. We are the primary resource for the most accurate and reliable metals-focused economic trends data, for original industry and economic insight and perspective, for leadership education and executive training, and for creating a business community that can grow and prosper together. Click to the right to learn more about our products & services. We offer our members proprietary, critical metals shipment and inventory data, including end use market and economic forecasts. Our exclusive Metals Activity and Metals Tendency Reports, like all our digital analysis packages are designed and compiled by an independent econometrics firm with an enviable record for accuracy and reliability. This industry data is custom designed to support the intelligent strategic and tactical planning that helps ensure growth and profitability. Our executive leadership and professional development programs build a new generation of creative, effective, high performance managers. We provide sophisticated, executive training, including our exclusive Strategic Metals Management course at the Olin School of Business, and the Battle Tested Leadership program at the historic Thayer Hotel on the grounds of the United States Military Academy at West Point. In addition we offer a full agenda of popular and proven metals-focused skills courses covering everything from sales to metallurgy. Publications such as white papers, Connecting the Dots, Edge and the MSCI Investigates series bring our members research and reporting that is specifically metals focused beyond what they can find in the mainstream media. These reports explore in detail the issues and challenges that confront our members and offer solutions instead of just problems. Our annual product conferences and Economic Summit feature industry leaders and distinguished analysts speaking on the most critical metals industry issues we face. Our single-day, single subject forums offer timely, in-depth discussion of the most rapidly evolving management challenges. These sessions bring together industry leaders, offering unique opportunities to learn, share, and establish and broaden crucial business relationships. And local chapters provide localized networking for sales and management and regional training. We are committed to doing everything we can to make sure that every member of our community returns home in the same safe condition in which they entered work. Our annual Safety Conference features metals focused programs and practical advice from the industry’s most innovative experts. Our alliance with the National Safety Council makes its unique specialists and training available to our members. Workplace safety is not just a moral imperative for us. Done right, it is a proven, comprehensive strategy for strengthening our members’ businesses. We believe that an excellent education is the key to personal success. We therefore proudly partner with our chapters by matching their education fundraising efforts that each year sends a new group of our promising students to college. In the last 13 years we have awarded more than 3,000 matching education grants to these young adults, worth more than $6 million.